The tiger is an apex predator which was evolved under millions of years of constant competition for natural resources and survival, and it came to the top of the food chain as we see now. The Tiger EA was developed under the same concept, with more than 50 millions of generated strategies and more than 10 thousand generations of competition, the top strategies with various profitable characteristics were selected to make The Tiger EA. 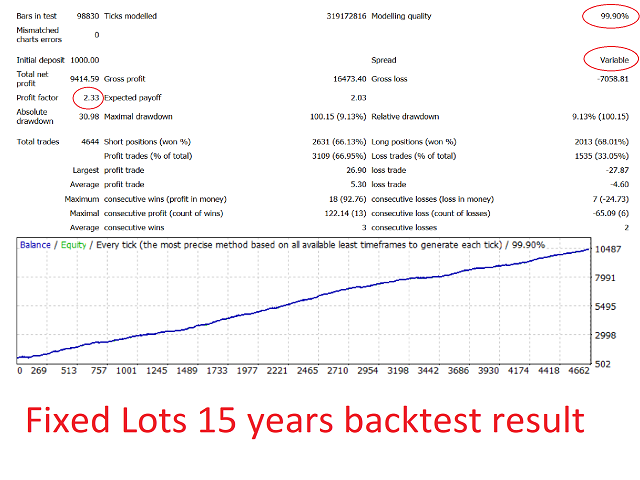 This EA was developed and tested with 15 years of 99.9% quality historical tick data, with variable spread, commission, swap and execution delay simulation. In Sample (IS) / Out Of Sample (OOS) optimization method was utilized to avoid curve fitting, plus additional testing with Monte Carlo Randomization to confirm robustness of The Tiger EA. This EA does NOT use risky strategies like martingale, grid, position averaging, scalping etc. This EA use Magic Number from your input to up to the following 400 numbers (e.g. 8310 to 8710 by default); so please be careful not to let it interfere with your other EAs. This EA requires ~30 historical bars for calculation. EA is optimized for EURUSD H1 only. Please use non-FIFO brokers and brokers which allow hedging positions. The built-in strategies are already optimized, so it's easy to be set up and use. Currently you only need to adjust Magic Number and Lot Size/Risk % to suit your needs. Max Spread: If the current spread is higher than this value (in points), the EA will not open an order. If set to zero, this function will be disabled. 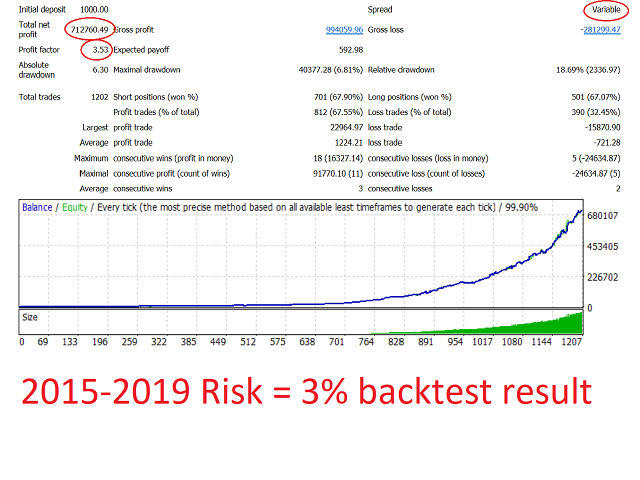 Risk %: Suggested range is 1-3%. Input over 3% you may risk too much of your capital. Suggested Minimal account balance is $300 per 0.01 lot. ECN / STP type brokers with low spread are preferred and VPS is recommended for fast execution and therefore optimal performance for the EA. NOTE: As an EA which focuses on long term return, The Tiger EA may NOT trade every day, sometimes it needs a few days or even a whole week to find the best time and price level to enter a trade. Historically, the average number of trades per month is 20. I bought this EA on the 12th but I haven't opened the order yet. I invite you all to Ride the Tiger. You can see his stripes but you know he's clean. Minor changes to the default set.